J&K Bank Admit Card 2019: Below are the admit cards published by J&K Bank - Jammu and Kashmir Bank Ltd / ibpsonline.ibps.in. The recent Admit Card issued for the recruitment drive is Banking Associates Admit Card 2019. J&K Bank PO Pre Admit Card 2019: Jammu and Kashmir Bank Ltd has issued the Admit Card on 12 Apr 2019 for J&K Bank PO Pre Exam 2019 which is scheduled to be held on 22 Apr 2019. 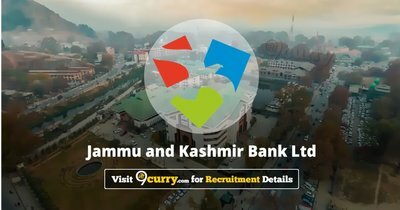 J&K Bank PO Admit Card 2019: Jammu and Kashmir Bank Ltd has issued the Admit Card on 10 Feb 2019 for PO Exam 2019.